Apple, like Mitt Romney, is not a big fan of the concept of the apology. Saying sorry is not in the company’s DNA. It prefers to settle its affairs through patent trials and thermonuclear war. 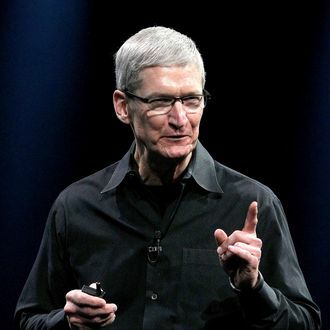 Cook goes on to recommend third-party map apps “like Bing, MapQuest and Waze” while Apple works out the kinks in its own app, and — in a move that is hard to imagine Steve Jobs making — said iPhone 5 users could “use Google or Nokia maps ” in the meantime. Jobs was famously intolerant of embarrassing mistakes. When the 2008 launch of MobileMe was marred by bugs and customer complaints, he went postal — firing the executives in charge after upbraiding the entire team. If Cook is anything like his predecessor, today will not be a quiet day in Cupertino.